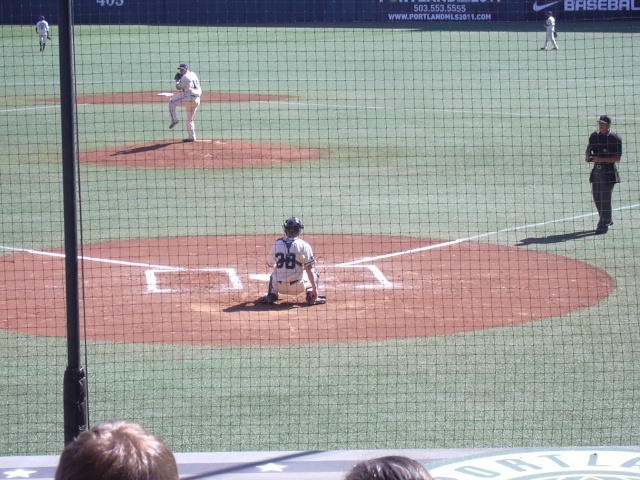 I went down to Keizer to see him and Eugene play the Volcanoes. 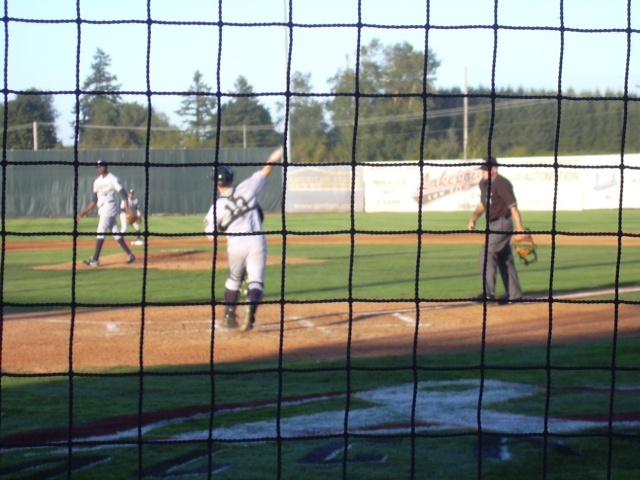 If you're looking for baseball next year when the Beavers move out, Salem-Keizer would be a great choice. Reasonable prices for parking, tickets, and concessions, and a fabulous fireworks show every Friday night. The baseball is pretty good too. The best part: You could buy the seat I had, in the second row, at the box office the day of the game. PurplePrideTrumpet wrote: If you're looking for baseball next year when the Beavers move out, Salem-Keizer would be a great choice. Reasonable prices for parking, tickets, and concessions, and a fabulous fireworks show every Friday night. The baseball is pretty good too. 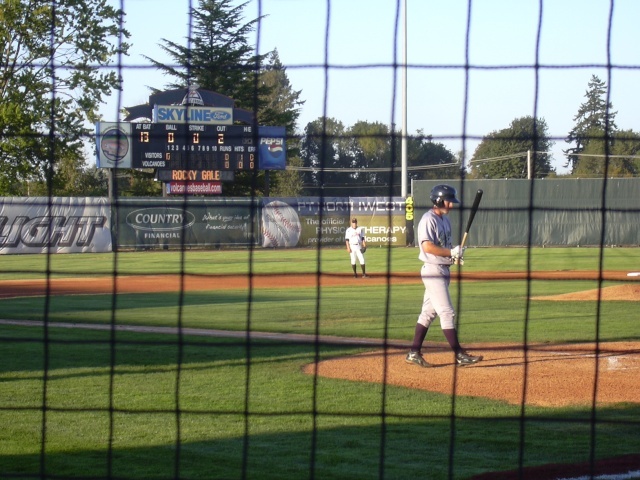 Latest rumor on the future of professional baseball in Portland: The University of Portland is making plans to move Joe Etzel Field from its current on-campus location next to the Chiles Center to a spot down the bluff near the Willamette River. 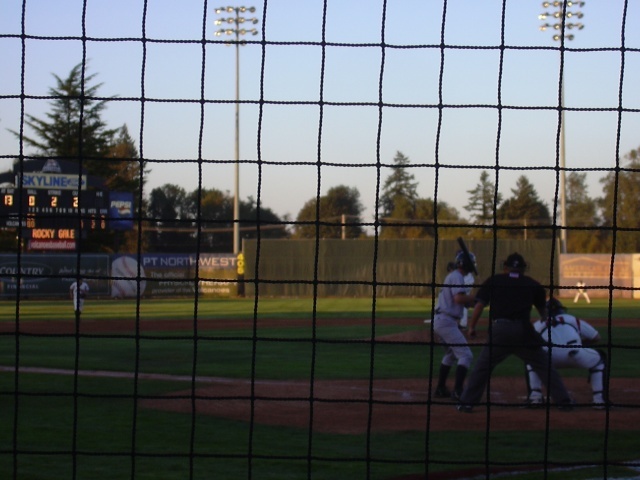 The idea being floated around is that the city of Portland could share the cost of construction of that new ballpark, which would then be used in the summer as the home for a Class A, short-season, Northwest League team for Portland. I think short-season A would work fine in Portland. Lower ticket prices, the season runs mid-June to Labor Day (nobody goes to Beaver games until the weather turns nice), and most of the fans are not going to care that it isn't AAA. Now, would the University actually be interested in partnering up like this? Who knows? I had been wondering that myself, with the potential new stadium... I believe this is the situation in Eugene with the Ducks/Emeralds (?). However, the location would be pretty crummy for a City Team.... the campus isnt exactly centrally located... and Up wouldnt be interested if the field wasnt on campus. Also, would UP want a bunch of baseball fans running around campus all summer? PurplePrideTrumpet wrote: most of the fans are not going to care that it isn't AAA. I'm not sure. There is an awfully huge gap between short-season A ball and Triple A. I like watching our baseball team play, and I'm not so sure that the single A boys are at a much higher level. The players at AAA are at a much higher level; they have superb skill and talent. There is a large gap. You and I and some baseball fans know that. Short-season A guys are mostly straight out of college (it starts in June so that guys who get drafted can go play right after school gets out), so they are at about the college level. AAA guys are basically the reserve team for the MLB parent club. I don't think the casual fan is going to be concerned about that as much as they are being able to go watch baseball. He didn't get in, just warmed up the pitcher. Listening to the radio broadcast, Eugene's season ended yesterday and Rocky asked if he could be the bullpen catcher for the Beavers today. 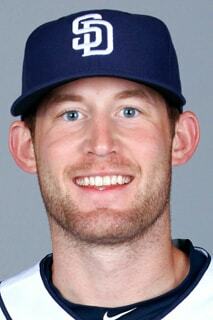 The Padres agreed, but when a guy got called up yesterday Rocky got put on the active roster. 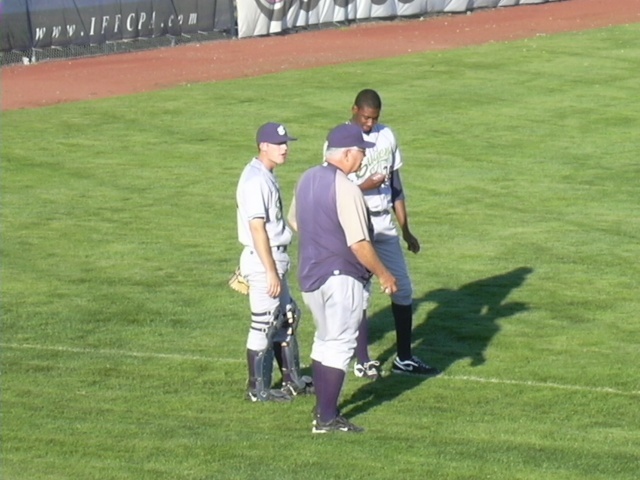 A Pilot on the Portland Beavers. How cool is that? The Beavers closed PGE Park in style today. They won an entertaining game 6-5 by coming from behind twice, the last time on a 2-run HR in the 8th. There was also a towering HR onto to 18th. The game was sold out, so it was nice to see so many people come say their goodbyes to the Beavers. Manager Terry Kennedy addressed the crowd afterward, saying that "If you want baseball back, go and get it back and don't let the politicians get in your way." If the people take his advice, baseball will return here somewhere. Who knows, maybe this is a Lou Gehrig replacing Wally Pip thing......UP graduate Rocky Gale has finally gotten the call to the big leagues after San Diego Padre catcher Derek Norris hyperextended his arm and shoulder last night. 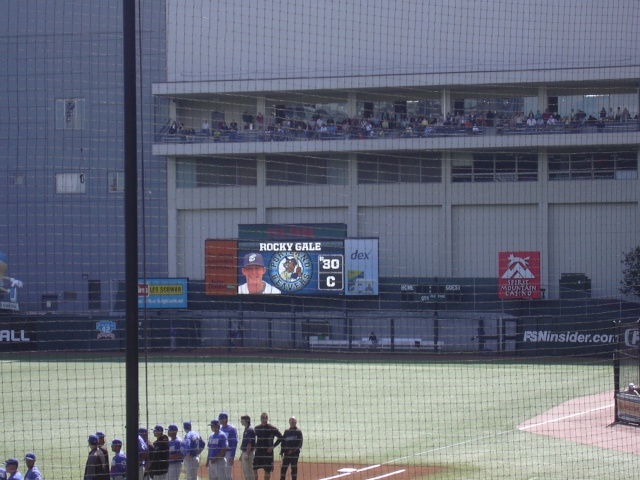 A 2010 UP grad, Rocky's call-up today from the AAA El Paso Chihuahuas by the Padres marks his first time ever in MLB. 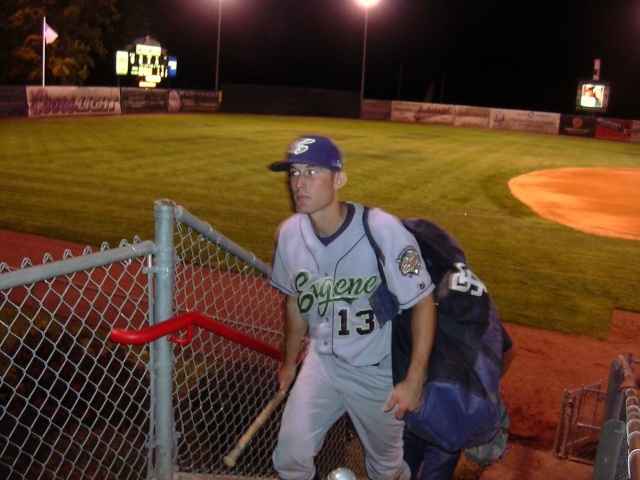 Rocky Gale wrote: "I don’t want to sound too green, but the big leagues to me were the Eugene Emeralds; that’s what I grew up watching..."
After 5 years of grinding in the minor leagues, Rocky Gale got his first MLB start last night and his first MLB hit!! Called-up almost a month ago, Rocky had been coming in as a late inning defensive replacement or as a pinch-hitter, but last night he accomplished every ballplayers dream....congratulations, Rocky!! .....I'm very relieved that I got one to get that first one out of the way. I've never wanted a hit so bad after those first (seven) at-bats."